Create a Microbial Masterpiece for ASM’s Agar Art 2018 Contest! introduced to the field of bio art and work in SVA’s state-of-the-art Bio Art Laboratory. fluids and making liquid sculptures. No previous experience in bio art is required. Exhibition / Open Studios featuring work by current students of the SVA Bio Art Summer Residency. Carolyn Angleton, Reid Arowood, Shuyi Cao, Maria Cau Levy, Tessa Ho, Alejandro De Las Noches, Sabrina Merayo Nuñez, Juliana Peloso, Tarah Rhoda, Masha Semenenko, Mark Woodbridge. Collaborate with an ambitious group of SVA students and alumni to create an innovative project inspired by biology. No previous experience necessary and all skill sets appreciated! Contact us at biolab@sva.edu for more info. Join us on February 28th or March 2nd at 3PM at the SVA Bio Art Lab (335 W 16th Street, 3rd floor) for an information session! Alumni welcome. The Biodesign Challenge offers art and design students the opportunity to envision future applications of biotechnology in a competition that highlights student work. Our organizers connect classrooms with a team of biologists and experts to guide the students as they develop their ideas. Students in the Biodesign Challenge explore how to harness these advancements for ourselves and the natural world, how these new applications function, and how they augment our lives and environment. The winning teams are invited to MoMA to showcase their designs in front of members the academic, industrial, and design communities at the Biodesign Summit in June 2017. Create a Microbial Masterpiece for ASM’s Agar Art 2017 Contest! Ever wanted to paint with life? SVA is proud to offer you access to the American Society for Microbiology’s Agar Art contest. Create your own work of art using microbes as “paint” and agar as a “canvas.” No experience necessary! In this two part, hands-on workshop, you will create your own Agar Art using live microbes. Photos of the Agar Art created in this workshop are eligible to enter the American Society of Microbiology contest. Media outlets in 12 countries, from Discovery to BBC News to The Huffington Post, featured coverage of the previous competitions and its winners. In addition, participants can win up to $485-worth of prizes. Microbes represent the most diverse group of organisms on earth and have been found throughout the world to the far reaches of the planet. They are capable of living in places we once thought were uninhabitable from the deep sea hydrothermal vents to the ice masses of the artic tundra. These microorganisms are capable of eating petroleum, metals, acids, plastics, and toxic wastes and are thus valuable in the process of removing pollutants and contaminants from our environment. Here, we take a bio art approach to discovering new species within the microbial world. We will visualize and image the wonderful beauty of these fascinating creatures by studying their many shapes and morphologies that often take the form of rods, spheres, coils and helixes. We will use a variety of collecting techniques to obtain these microbes from the waterways throughout and surrounding Manhattan. We will use sophisticated culturing techniques in the SVA Bio Art Lab and state-of-the-art techniques, including the polymerase chain reaction (PCR) and DNA sequencing to identify the microbes we collect. Through this process we will study bioluminescent diatoms, cyanobacteria, protozoans like amoebas and paramecium, zooxanthellae the symbiotic algae that live inside coral polyps, and many others. Come collaborate on an adventure of art and science and dive into the mysterious world of microbes. Capturing images of nature and biological phenomena is an essential component of the scientific process; it is also an intricate aspect of art. In this course we will utilize macro lenses and dissecting stereo microscopes, as well as compound and fluorescent microscopes to obtain images of the microscopic world. Students will photograph marine invertebrates, including sea urchins, starfish, tunicates, comb jellies, anemones and sponges. Under the high-mag objective, we will image zooplankton and phytoplankton from marine and freshwater samples, and tissues prepared with our hands for microscopic observations. Students will develop a portfolio of images through projects that can include still life, video, time-lapse imaging, stereo pairs of 3D images, focal stacking and high-dynamic range photography. See what you can discover under magnification. Plants are among the most diverse organisms on the planet, growing in arid deserts and rain forests, on mountaintops and in the savannahs, as well as in marshes, lakes, rivers and the seas. They can take on beautiful forms with vivid colors and highly evolved features. While they are often thought of as almost inert objects, they can exhibit elaborate behaviors such as opening their blossoms at dawn, tracking the sun as the earth rotates, or baiting and trapping insects as a source of food. In this course, we will capture photographic representations of these lush life forms and explore the beautiful and bizarre world of plants and take an in-depth look at the intricate composition of their sexual structures, roots, vascular tissues and the photosynthetic machinery that create these primary producers. In particular, we will use time-lapse imaging to capture their movements, macro lenses to obtain images of their details, and microscopes to image tissues and cells. The fun begins as we focus on these unrelenting worshipers of the sun. This talk will present the work of Israeli artists whose works offer an interesting and unique dialogue between art and science. Image: Gideon Gechtman, White Peacock, 1999, Mixed Media. COME JOIN US IN BONAIRE !!! Beneath the hurricane belt of the central Caribbean lays the windswept island of Bonaire famed for its brilliant coral reefs, magnificent mangroves, and flocks of pink flamingoes. In this expedition, we bring our microscopes, SCUBA gear, and collecting nets to photograph this tropical wonderland and the tiny creatures that live above and below the waters surface. Along the way we will paddle our kayaks through the blue waters of the island coast, visit the sea-salt mines, and search out birds of paradise. We will scan the sea for bioluminescence and stargaze into the soft Milky Way. Come join us on this subequatorial adventure. Bonaire more than any other island in the world is known for its shallow water reefs that are accessible from shore and only a fins kick below the waters surface making these waters a snorkeling and diving paradise. Here, we use underwater cameras to photograph marine organisms in their natural habitats and collect small creatures that we can image on land under our microscopes. There, we will study the fine detail and intricate structures of life – at a point where art and science merge in a labyrinth of discovery, understanding, and creativity. Through our journey we hope to combine music, art, science, and newfound friendships to create an unparalleled, once in a lifetime expedition – to create lasting memories and stories to be told. Come join us. Live Magnified! The image is of the expedition team of our last expedition ion ABACO Island in the Bahamas in March of 2016. From bottom left to right – Art Director and Head SCUBA Diver Chris O’Flaherty, Actor, Narrator and Chief Anchor Operator Arnaud Spanos, BioArtist and Head of Operations Darya Warner. Top left to right – Expedition Leader Joe DeGiorgis, Lead Scientist and Underwater Cinematographer Lucas Pozzo-Miller, Artist and Naturalist Regan Rosburg, Environmental Artist/Photographer and Author Chris Jordan, and Snorkeling Aficionado and Head Chef Victor Jordan. Our trusted Captain Jess Berndt is behind the camera. Anna Dumitriu will discuss her experiences of creating art embedded in bioscience settings and will describe some personal projects, for example working with the Modernising Medical Microbiology group at The University of Oxford, and exploring the field of synthetic biology at the University of California Irvine. Alex May will share his work exploring a wide range of digital technologies, most notably the technique known as video mapping or projection mapping, which he practices using software he authored. He also designs interactive installations, generative works and full-size humanoid robots, sometimes in collaboration with Anna Dumitriu. He will discuss their collaborative projects “Sequence”, “Super-organism” and “My Robot Companion”. Anna Dumitriu (1969) is a bioartist based in the UK. Her work investigates the microbiological world and the latest technologies we use to study it. She works with textile craft techniques, sculpture, video installation, and live bacteria, actually using the tools and techniques of microbiology as artistic media. Alex May (1972) is a British artist exploring a wide range of digital technologies, including video mapping, interactive installations, generative works, full-size humanoid robots, performance and video art. He is a visiting research fellow: artist in residence in the Department of Computer Science at The University of Hertfordshire. Please note, lecture will take place in Room 302, 3rd Floor. After his parents go to bed, Sebastian Cocioba usually retires to the third bedroom of the family apartment, where he has built a laboratory. There, amid the whir of climate-controlling fans and equipment harvested from eBay, he is working on what he hopes will one day become a lucrative career. Mr. Cocioba, 25 years old, is a plant hacker. “I want to make flowers no one has ever seen,” he says, wearing shorts and a T-shirt on a recent day at his home in Queens, N.Y. “What would happen if you combined features of a pine tree with an eggplant?” He also wants to turn a rose blue. Born into an earlier generation, Mr. Cocioba might have spent hours writing computer programs. Instead he is at the vanguard of a millennial niche: do-it-yourself bioengineering. In place of a keyboard, he has a homemade “gene gun” that fires genetic material into plants on a blast of tiny tungsten particles. A growing coterie of plant hackers and synthetic biology startups have their sights set on creating some bizarre and wondrous creations: glowing plants, fragrant moss and flowers that change colors when you pour beer into the soil. Such plants have long been possible, but the research and experimentation was time-consuming and expensive. The first glowing plants were invented by scientists trying to better understand genetics. Antony Evans, 35, chief executive of Taxa, a Silicon Valley company launched last year as a platform for would-be plant designers, says such creations are part of a broader movement. “I can see a future where genetic engineering becomes acceptable and commonplace, where some teenagers have ideas for plants and make them the same way kids make mobile apps today,” he said. For plant hackers, no prize is bigger or more sought-after than the “true” blue rose. Blue roses are available from some florists, but they aren’t “true” in the eyes of biologists because they are simply dyed. The mythical flower, which doesn’t exist in nature, has been pursued for centuries, with dubious claims as far back as the 12th century. In 1840, the horticulture societies of the U.K. and Belgium offered a 500,000 franc reward for a true blue rose, but no prize was awarded. It is also thought to be the Holy Grail in the annual $10 billion cut-flower industry, where new and novel plants can earn big profits. The closest anyone has come to creating a true blue rose is a Japanese whisky consortium, Suntory Holdings Ltd.
Suntory teamed up with Florigene, an Australian genetic engineering firm focusing on plants. The company, now known as Suntory Flowers Ltd., created the first purple carnations, sold across the world under names such as Moonshade and Moonvista. In 2004, the firm announced it had finally cracked the code of the blue rose. But it turned out to only include blue pigments—a significant scientific achievement. To the human eye, it is lavender in color. The rose, called “Applause,” is only available in Japan, for $25 each. The company is continuing to try to make a bluer rose. One of the biggest challenges is lowering the acidity of the plant so that the blue color can become more visible. Mr. Cocioba is researching blue plants along with Suzanne Anker, an artist who uses biological material in her work and is the director of the Bio Art Lab at the School of Visual Arts in Manhattan. By day, Mr. Cocioba is a scientific consultant in the lab. In between student sessions, he has been experimenting with turning tobacco plants blue, using the DNA from a type of blue coral. He is almost entirely self-taught. He studied biology at Stony Brook University, but dropped out. For several years, he cloned orchids—a process of growing new plants from pieces of other plants—to sell to local florists. Slowly he built up his lab and began to better understand the delicate process of altering plant DNA, mostly through reading online and discussing projects with other would-be plant hackers. “It’s about democratizing science,” he says. Another major target for biohackers are plants that glow using DNA from bioluminescent jellyfish or fireflies. The first such plants available to consumers produce only a very modest glow. The “Starlight Avatar,” available for about $35 from Bioglow Inc., is a ghostly plant sent to buyers in a closed plastic container. Its glow can only be detected if taken into a pitch dark room for enough time for retinas to adjust to its faint emissions. It can’t be exposed to the air or sunlight without the risk of dying. Alexander Krichevsky, 40, the research director of the company in St. Louis, said he is working on brighter, more-resilient plants. He says his main clients now are “people between 20 and 30 years old, usually with computer professions,” or major fans of the science-fiction film “Avatar,” which featured glowing plants in its fictional world of Pandora. Mr. Evans, of Taxa, is also the founder of a company that raised $484,000 on the crowdfunding website Kickstarter for its glowing plant in 2013, but hasn’t delivered yet. He said delivery of glowing plant seeds to backers will start this year. Next in production is a new kind of moss that smells like patchouli that could be a replacement for air fresheners one day. After that, he too will make a go at the blue rose, he says. Our project, Soiled, won a gold medal for the Best Art & Design Project during the iGEM 2015 Giant Jamboree. 300 iGEM teams competed for these honorable mentions. The iGEM Foundation is dedicated to education and competition, advancement of synthetic biology, and the development of open community and collaboration. The main program at the iGEM Foundation is the International Genetically Engineered Machine (iGEM) Competition. The iGEM Competition is the premiere student competition in Synthetic Biology. Since 2004, participants of the competition have experienced education, teamwork, sharing, and more in a unique competition setting. More than 2700 attendees participated in the largest synthetic biology event to date. The Giant Jamboree celebrates the hard work and dedication shown by the 280 multidisciplinary iGEM teams from all over the world. See details of the event at 2015.igem.org/Giant_Jamboree. Soiled i​s the project name for the the School of Visual Arts’ participation in the Art and Design track of the 2015 iGEM competition. By creating a speculative mobile device, a non­toxic methodology is implemented to test nutrient values in soil for the urban gardener. Consisting of a multi­media installation composed of computer generated cut­outs in the shapes of the five boroughs of New York City, the works are fabricated from compressed board, lucite sheets and LED lights. Denoting the respective results of soil samples collected throughout the New York metropolitan area, as a visual representation the installation is consistent with the scientific processes of creating chemical color reactions. A spectrophotometer was employed to indicate the precise levels of nutrients in the aforementioned samples. By investigating alternative methods of analysis our microfluidic device holds promise for deciphering soil nutrients in a more ecological manner. The installation functions as both a data representation of our sampling sites and additionally relies on aesthetic principles of investigation. Color which crosses the boundaries between art and science as a perceptual marker is of extreme importance in both practices, pointing at once to the ways knowledge is produced. Donna Hanover goes to the School of Visual Arts where students are using the techniques of biology labs in creating artistic works. Original tape date: June 2, 2015. Please subscribe to our newsletter for future workshops, conferences and events. On Friday February 13th, 2015, Suzanne Anker and Victoria Vesna hosted “Molecular Cuisine: The Politics of Taste” in conjunction with Leonardo’s Education and Arts Forum (LEAF) for the College Art Association, CAA. This event was a sit down dinner investigating the various ways cultures approach the concept of food. From molecular cuisine to sushi to miracle berries, we explored the intricacies between taste and value, employing food as a filter and as an art material. Artists and designers interested in the life sciences are invited to propose new projects for funding. The BIO ART & DESIGN AWARD (previously called the DA4GA) grants three awards, each of them is €25.000, to fully realize a new work of art or design that pushes the boundaries of research application and creative expression. Winning proposals are developed in collaboration with a Dutch research institution over several months then exhibited to the public in MU Art Space in Eindhoven at the end of the year. To be eligible for the award you must have graduated no longer than five years ago from a design or art program at either the Masters or Bachelors level. Applicants are encouraged to relate their proposals to recent advances in the life sciences, including (but not limited to) those within specialties such as biomedicine, synthetic biology and ecology. Please be sure to read all information about the call, deadlines, regulations and requirements before submitting an application on the website.The BIO ART & DESIGN AWARD highlights and explores exciting new intersections among design, artistic practice and the life sciences. The award is a product of collaboration between ZonMW, NWO, TU/e, the Waag Society, BioArt Laboratories and MU. The call procedure will be carried out by ZonMW. The deadline for applications is 2 February 2015. 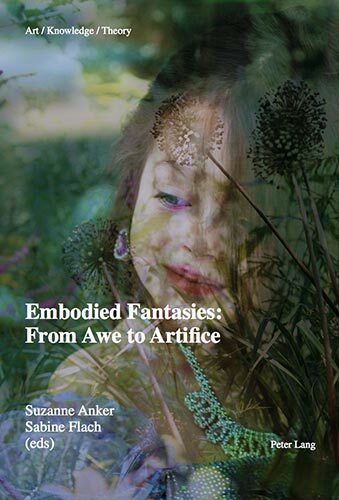 Embodied Fantasies, a concept central to art history, theory and practice is concurrently a topic debated in the fields of the neuro- and cognitive sciences, philosophy and phenomenology. This theme will be addressed in a transdisciplinary conference hosting scholars and artists from the fields of architecture, art history, visual art, history of science and psychology among others. Discussions will focus on concepts of embodiment as they relate to sexuality, aesthetics, epistemology, perception and fantasy itself. Approaches to the role of fantasies will be viewed beyond traditional conceptions to include complex thinking processes, subjectivity, and the inter-subjective. Prominent attention will be paid to fantasies and images as a form of knowledge production. Speakers include: Gabriele Brandstetter (Freie Universität, Berlin), Mark Dery (Cultural Critic), Frank Gillette (SVA), Dan Hutto (University of Hertfordshire, UK), Mitchell Joachim (TerreformONE), Arthur I. Miller (University of London, UK), Alva Noë (University of California and CUNY), Shelley Rice (NYU), McKenzie Wark (The New School), among others. Please subscribe to our newsletter for future workshops and events. Free and open to all SVA students, faculty and staff. Artists raise questions that scientists often fail to think about. What are the consequences of the ease with which we now can read and write the very code of life? Should we encourage open-access biotechnology? We will explore different aspects of the interface of art and DNA-based science, including working with DNA, genomic information and genetically-engineered organisms as materials, experiencing the processes used for reading the code of life and tinkering with it to literally grow your own creations. Individual and team projects that alter and incorporate living organisms and their data will be developed and showcased at the end of the semester. Students will venture out into the city to collect samples and bring them back to the lab to process and analyze. The workshops will be an exploration in the materials and processes of Do-It-Yourself biotechnology. Bio Art workshop with Oliver Medvedik, Ph.D. This very hands-on and team-based workshop will introduce the student to novel biological materials isolated from organisms that will be used in the design and building of bioluminescent and fluorescent displays and the fabrication of grown structures. We will be working with both genetically engineered and naturally occurring organisms. We will learn the basic techniques of genetic engineering and will modify bacteria to induce fluorescent and bioluminescent protein and pigment production. Participants will also learn proper sterile techniques in growing bacterial and fungal cultures. The products of our living cultures will be used as part of a class project to design and build bio-fluorescent displays along with rigid scaffolding produced by fungal mycelia and flexible surfaces produced by cellulose secreting bacteria. You are what you eat or are you? Do you know what is in your food? From farm to fork what happens in between? This course focuses on how food production, industrial farming, and GMO’s have become part of our daily life. Projects will consists of growing plants hydroponically, DNA analysis of local food, and microscopic imaging of foodstuffs. In addition we will explore the cultural differences, taboos and evolution of eating practices. We will look at the culinary styles around the world, their social, economic and political ramifications. We will introduce projects in urban farming and molecular cuisine as well as field trips to diverse restaurants. Part forensics, part horticulture we will gather plants to extract pigments for watercolor, and design food sculptures. We will explore the effect microorganisms have on food, from cheese to e-coli, to yogurt. Performance, painting, sculpture, public art, photography, illustration and cartooning, as well as community-based projects are welcome. This class will visit local sites in search of urban botanicals from which to draw creative inspiration. We’ll explore micro and macro environments, the fractal realm of self-similarity and symmetry. We’ll see how the nature/nurture dialectic has been exploited by artists, and look to the less obvious lichens, molds and mosses as alternatives to the more ornamental botanicals. To meet the countless challenges that botanicals present, students will explore various mediums to create drawings/collages that range from the simple to the complex. This course offers a “bones up” approach to learning anatomy. By starting with the skeleton, the student will learn about and internalize the structure, form and movement of the body in an effort towards making more informed and intelligent drawings of the live model. A portion of the class will be focused on the comparative anatomy of animals. Materials for the majority of the class will consist of pencil or charcoal and paper. Tracing the animal kingdom from jellyfish to insects to humans, students will gain a working knowledge of comparative animal anatomy. The focus will be on vertebrates (reptiles, birds, and mammals) and the morphological differences which constitute groups, families, and individual species. There will be discussions on ecology, evolution, and the depiction of animals throughout art history. Students will work from specimens from the SVA Nature and Technology Lab, on location drawings, and photos. 16 Watt, Model #1012; Gagne, Inc.
*Please Note: the lab is equipped with all necessary safety wear, including: lab coats, gloves, protective goggles, hair nets, etc. Humans have tampered with species development for thousands of years, creating countless varieties of domesticated plants and animals. Today, advances in biotechnology allow for the creation of entirely novel life forms such as transgenic rats glowing with jellyfish genes. In this lab/studio course, students will be introduced to the emerging field of biological arts through hands-on laboratory practices, discussions and excursions. Field trips to local pet stores and seafood markets will be conducted to examine post-natural organisms. In the lab/studio, students will create a post-naturalist journal, extract DNA, paint with stained tissues, culture microbial fauna paintings, generate and disperse native seed bombs, and learn proper techniques for preserving vertebrates, among other activities. Topics of discussions will range from bio-ethics to science-fiction/biological reality, and more. Early application (by April 15th) is highly recommended. Instructors: Suzanne Anker, Joseph DiGiorgis and visiting speakers. This interdisciplinary residency will take place in the new SVA Bio Art Laboratory located in the heart of New York City’s Chelsea gallery district. The SVA Bio Art Lab houses microscopes for photo and video, skeletons and specimen collections, a herbarium and an aquarium as well as a library. Each student resident is awarded a private studio space. The residency culminates in a public exhibition. The Residency will be led by artist Suzanne Anker, Chair of the BFA Fine Arts Department at SVA, and Joseph DeGiorgis, marine biologist. In addition, visiting speakers have included artists, scientists and museum professionals including Kathy High, Ingeborg Reichle, James Walsh, Jennifer Willet, Ellen D. Jorgensen, Oliver Medvedik, William Myers and Paula Hayes. This summer residency program grants 4 undergraduate studio credits for those interested. If you are a graduate student, please check with your School for academic credit options. e-mail residency@sva.edu or call 212.592.2188.